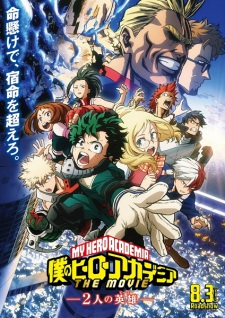 Plot Summary: Deku and All Might receive an invitation to I-Expo, the world’s leading exhibition of Quirk abilities and hero item innovations! Amid the excitement, sponsors, and pros from all over, Deku meets Melissa, a girl who is Quirkless just like he once was. Suddenly, I-Expo’s top-of-the-line security system gets hacked by villains, and a sinister plan is set in motion. It’s a serious threat to hero society, and one man holds the key to it all—the symbol of peace, All Might.